There are various scholarships and forms of financial aid available to assist in offsetting the cost of the Rome study abroad experience. In addition to the following scholarships, please contact the Office of Financial Aid for further information and remember to submit your FAFSA on time to receive the maximum aid possible. If you are considering taking out loans for your Rome semester we encourage you to accept the federal direct student loans first. The Federal Parent PLUS loan is available here: (www.studentloans.gov) for parents that need additional funds. Students and parents can also compare private loans, some of which are available here: https://udallas.edu/ offices/finaid/undergrad-fa/ undergrad-loans/undergrad- private-loan.php. All Rome students are also required to enroll in the university's refund program, BankMobile in order to expedite the process of receiving any refunds. For more information about this program please contact the Business Office at (972) 721-5244 or visit https://udallas.edu/offices/sas/refund.php. The Rome semester costs $6,775 more than a semester on the Irving campus. For a further breakdown of Irving and Rome tuition costs please review the fee schedule and cost comparison sheet. 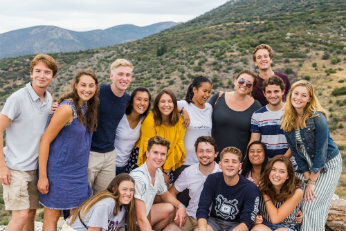 Rome Fee: All students pay a Rome Fee the semester before they are to Rome, which covers the Italian visa fee, Italian public health insurance, Italian permesso tax, book rental, International Student ID Card, Orientation, local transportation in Rome, and express mail of visas. As this fee is paid before Rome it cannot be financed through financial aid. Tuition, Room and Board: Tuition is the same for Rome as for Irving. Rome room and board is slightly less than standard Irving Room and Board. Commuters in Irving will have to factor in the additional cost of room and board when calculating their Rome costs. 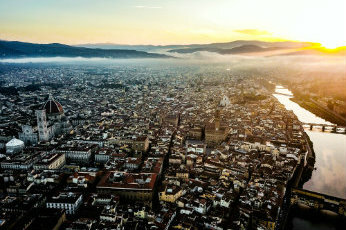 Airfare: Students are encouraged to fly with our group arranged travel to Rome. Group airfare is estimated at $1500 and must be paid the semester prior to Rome and cannot be financed through financial aid. Rome Program Trips Fee: This fee covers the costs of faculty-led trips to such destinations as Assisi, Pompeii, Florence, Venice and Greece. It also covers transportation costs of day trips and museum entrance fees for all the trips. This fee will be added to your tuition bill the semester the student goes to Rome. Spending Money: The amount of money your student will need for their study abroad semester depends on where your student will travel and what they want to see and do. Our office recommends students bring approximately $3750 for spending money. Payment Procedures: Payment procedures for Rome differ from those for an Irving semester. Students must either have paid their term bill in full; or must have made payment arrangements with the Business Office and be current with installment payments in order to receive clearance for Rome. Students not clear by the published deadline could be assessed a $500 late fine. The Jake Scott Addison Memorial Scholarship is a one-time award of $500, one to a student going to Rome in the fall and one to a student going in the spring. Applicants must have a minimum 3.0 cumulative GPA, have performed some kind of service to the community or to the school. The recipients will be determined by the members of Student Foundation based on fulfillment of the requirements and content of the essay. The winner shall be notified at the Farewell Dinner before their semester in Rome. The scholarship itself will be awarded to the student account at the beginning of the fall and spring semesters. The Gilman International Scholarship Program offers awards for U.S. undergraduate students who are receiving federal Pell Grant funding at a 2-year or 4-year college or university to participate in study abroad programs worldwide. Award recipients are chosen by a competitive selection process and must use the award to defray eligible study abroad costs. These costs include program tuition, room and board, books, local transportation, insurance and international airfare. Award amounts will vary depending on the length of study and student need with the average award being $4,000. Persons interested in applying should make an appointment to meet with Mrs. Davies. For more information please visit the Gilman website at https://www.gilmanscholarship.org/. The Uhl Rome Scholarship was established in honor of Charles T. Uhl by his five children: Kathy, Tom, Gary, Christine and Regina along with his wife, Nancy Uhl. Charles Uhl's love of travel, although generally limited to trips in the family van, was instilled in all of his children, including those who attended UD and the Rome semester. Since the fund was established in 2009, over 185 students have benefited with close to $100,000 offered in scholarship money. The scholarship is given to those who have applied and been accepted to the Rome Program and are selected on the basis of financial need. The number of recipients is dependent on the amount of funding available each semester. The University of Dallas National Alumni Board established its scholarship in 1994. 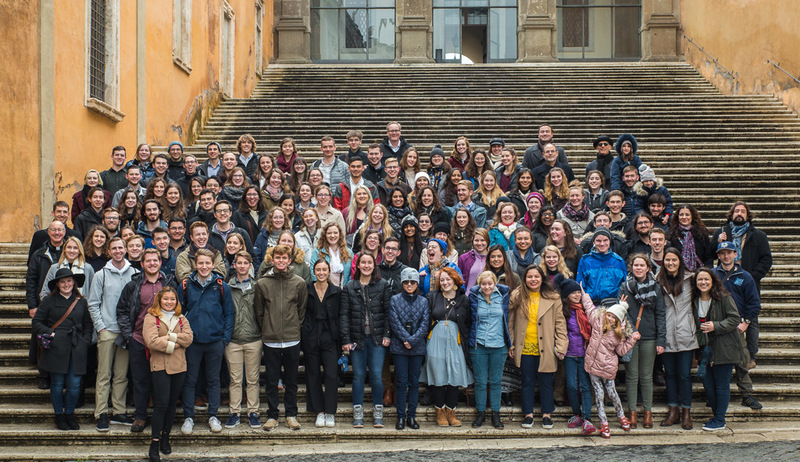 Students participating in the Rome program are eligible to apply for the National Alumni Board Rome Program Scholarship. All applicants must be full-time students and have a cumulative GPA of 3.0 to qualify. Applicants will also be considered based on their campus involvement and commitment to community service. Please note the scholarship is reviewed by the Office of Financial Aid by need based process. Applicants may contact the Financial Aid Office to determine their eligibility. The spirit and intent of this funding opportunity is to immediately impact the life of a student and make possible participation in the University of Dallas Rome Program. The awards will be used to provide the student a genuine Rome Program Experience, which might otherwise be out of financial reach. To be eligible, the student must have a cumulative GPA of 3.0 or higher and have demonstrable financial need. This scholarship will only be awarded to students in good standing with the University who have applied and been accepted to the Rome Program. This scholarship will be awarded on top of a comprehensive financial aid package, with funds being applied during the Rome semester. Students mark their intent to apply for scholarships in their Rome Application which is due March 4, 2019. They then must submit their essay and recommendation form to the Rome Office via email (udrome@udallas.edu) by March 25, 2019 to complete their scholarship application. Students mark intent to apply for scholarships in Rome Application. The question, "How will/does travel enrich the life and education of the UD Liberal Arts student?" Essays should be submitted as an attachment via email to udrome@udallas.edu no later than March 25, 2019. Essays should be submitted in a word document, Times New Roman 12-point type double-spaced. Document should be saved as YourLastNameYourFirstNameRomeScholarshipEssay.docx, i.e. DoeJohnRomeScholarshipEssay.docx. National Alumni Board Scholarship applicants must also submit a letter of recommendation to the Rome Office by March 25, 2019 from a familiar teacher or counselor that directly and clearly addresses their leadership record and potential. Recommendations should be emailed to udrome@udallas.edu from the author (not sent by student) as a PDF, with subject line including student full name and title of scholarship, i.e. John Doe NAB Scholarship Recommendation. There are a limited number of positions available for students who wish to make a little extra money while in Rome. These are assigned and supervised by the Assistant Dean and the student-life staff, but are governed by work study awards at the University of Dallas in Irving. During the first week of each Rome semester there is an organizational meeting to make a final determination about eligibility, interview students for particular assignments and decide on working hours.